Western Daily Press - 16 May, 1944. 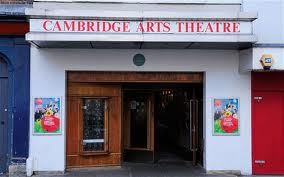 Theatre Royal, Bristol. 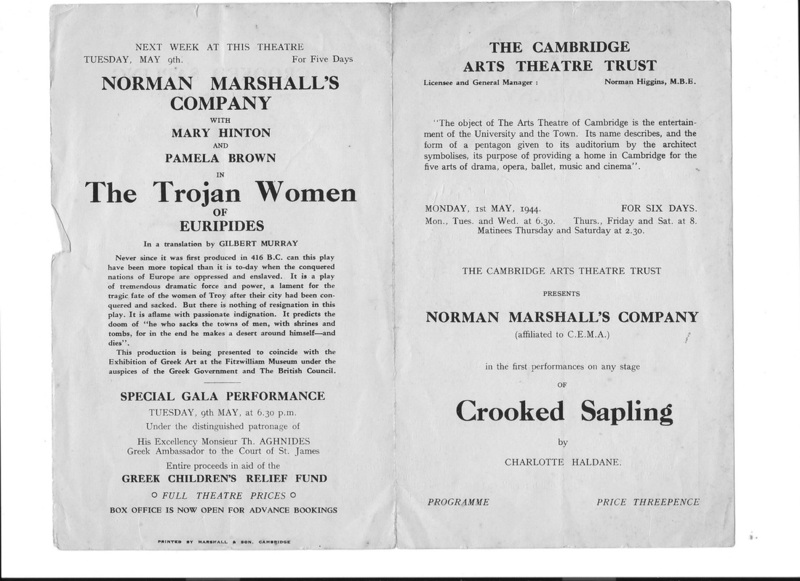 "Chief honours of the play fall to Lawrence Hanray, dour upholder of the new regime who has the advantage of a company of experienced actors and actresses, including Greta Wood, Flora Britton, Peter Copley, Leonard Sachs and Joyce Tyler." 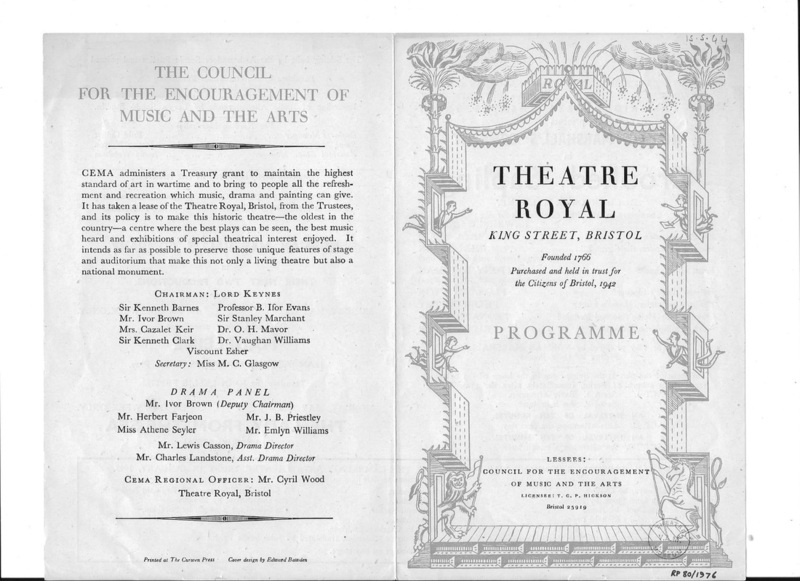 .... and at the Theatre Royal, Bristol, in 1944. 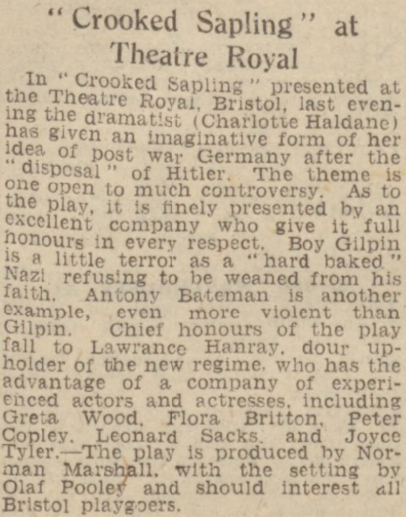 Taken from The Western Daily Press of 16 May, 1944. 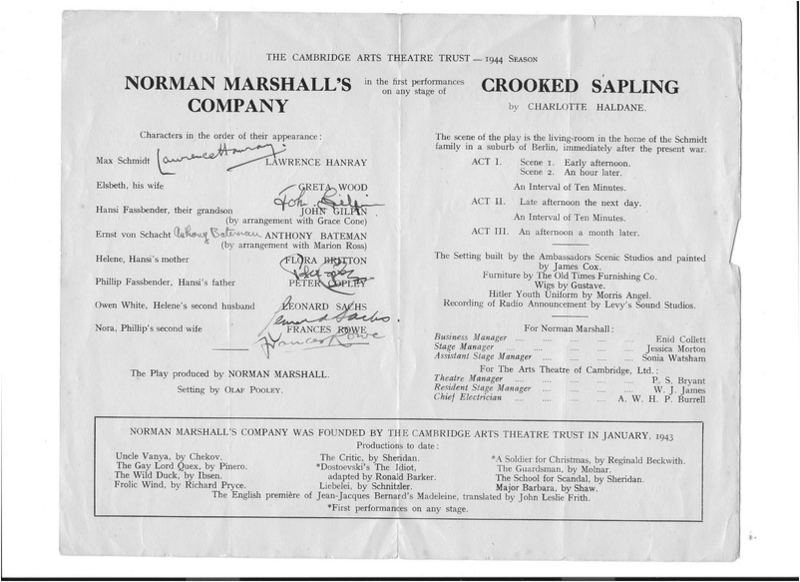 A signed programme from "The Crooked Sapling", performed in Cambridge, in 1944. 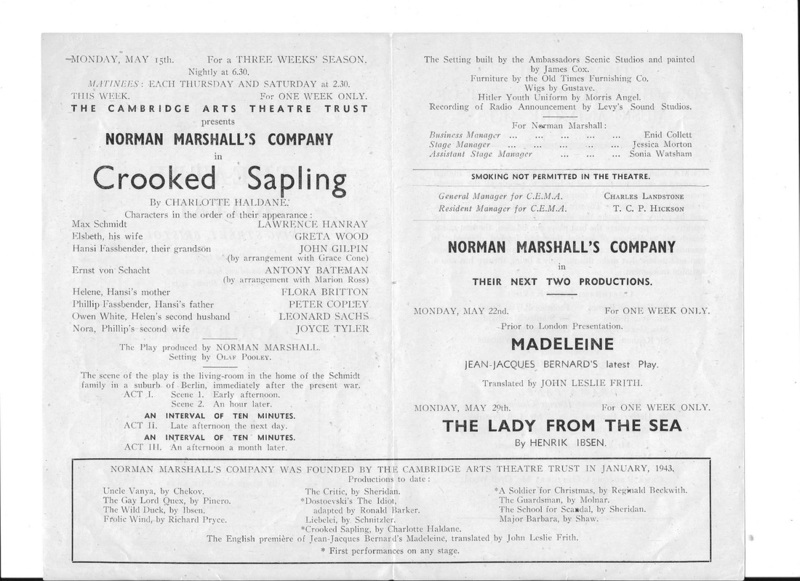 A programme from "THe Crooked Sapling, at the Theatre Royal, Bristol, in May, 1944.